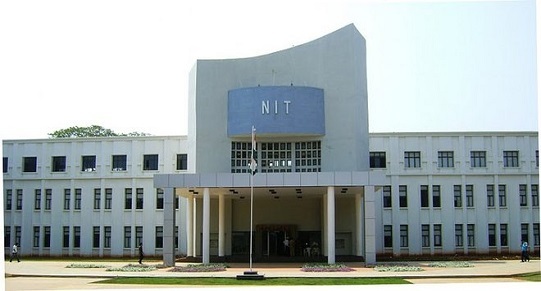 Campus: National Institute of Technology Warangal is an institute which provides quality education in a diverse and multi-cultural environment . It imparts state of the art training to students to make them competent and inspired engineers. The Institute not only celebrates the power of knowledge, cultivates vision and encourages new ideas, but also inculcates human values and builds up an awareness about the self as well as the society around us. Central library: The Central Library supports the teaching and research programmes of the Institute and provides facilities for general reading and disseminates information according to the requirement of the users. It is housed in a separate building with a plinth area of 4000 sq. mtrs. It has around 1,43,254 books, back volumes, technical pamphlets, standards, CD-ROMS, Video Cassettes etc. The total cost of the books is Rs. 5.65 crores and it receives 210 Jourals, 121 Indian and 89 Foreign at a cost of Rs. 5.64 lakhs. It also receives 2000 on-line Journals through INDEST set-up by MHRD, Govt. of India. The services and operations in the Central Library are fully computerized. The database of entire Library acquisitions was created using LIBSYS software and it works under NT environment. The main server is Xeon Server-Dual CPU (DELL PE 2900). 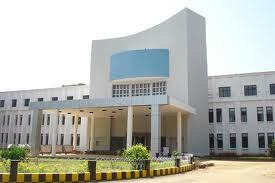 Hostel:The Institute has excellent residential facilities for all the students admitted to the various courses. There are sixteen hostel blocks (halls of residence) for men and two for women. Hostel administration is managed by a Chief Warden and a team of Wardens drawn from the faculty and appointed by the Director on a tenure basis. Hostel Advisory Council headed by the Director is responsible for major policy decisions with respect to the hostel administration. Hostel Executive Committee takes decisions on routine matters. Students have representation on both the administrative bodies. Hostel office has full-fledged supporting staff and other workers. Spring Spree Spring Spree is NIT Warangal’s cultural festival. Traditionally held in the month of March, the dates were shifted to January after the 2008 edition. Hoover, following the Telanga unrest in 2010, the dates were re-shifted to 5 to 7 March. The fest finds its roots in the early 1980s and was a continuous affair till the early 2000s when it was stopped. Its revival was gradual with small fests from clubs finally giving rise to a mini cultural festival called Elysium in 2006. The revival was complete when, in 2007, Spring Spree was brought back and has since been an annual event. The fest website URL is dates of Spring Spree 2011 have been finalized as 11 to 13 March.